Do the 1980s have any aesthetic value? However, the 1970s had some pretty cool stuff happening, visually. 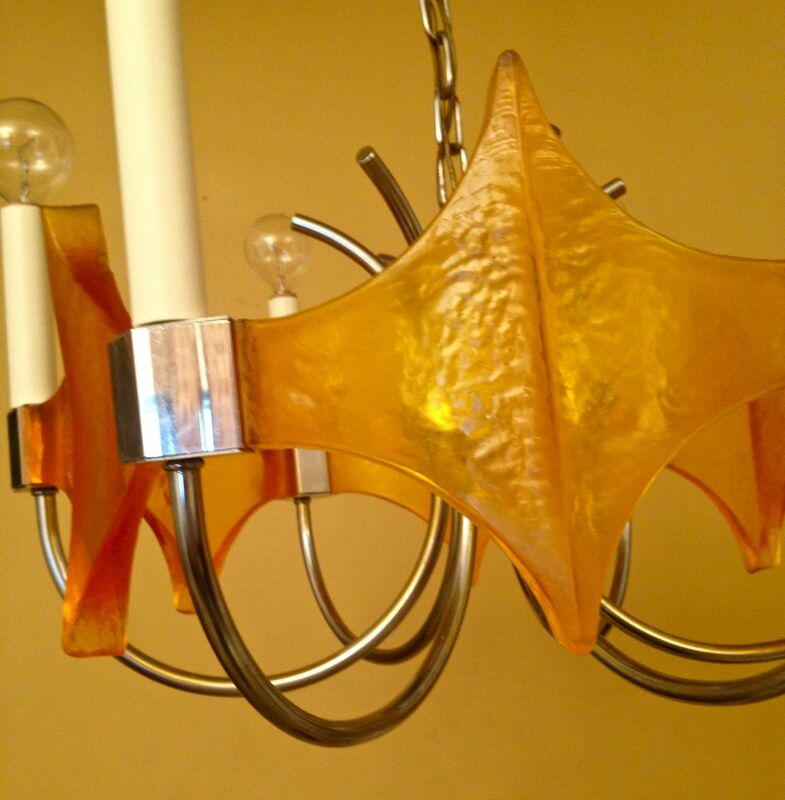 While I restore vintage lighting, my cut-off era is the mid-70s. 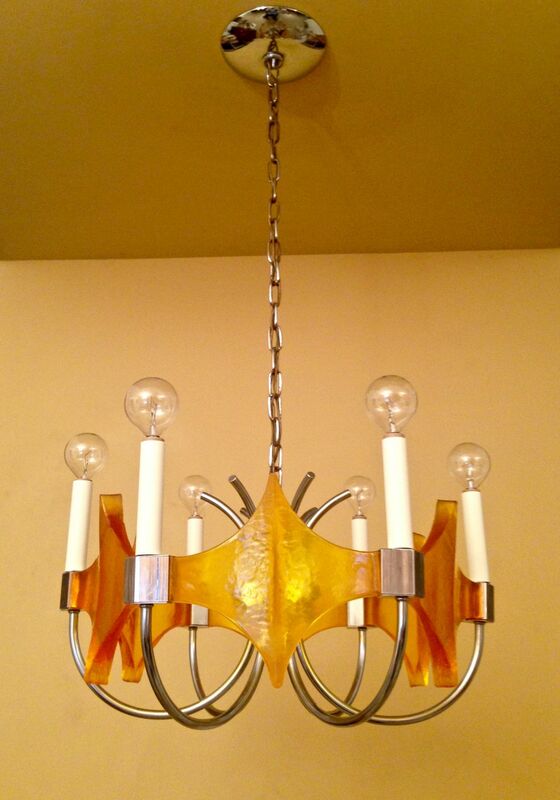 This is because by the late 70s lighting design got really dull. I do not recall ever offering a fixture from the 1980s, even though young people think of the 80s as, sigh, something from WAY far back. As an example of how cool the 70s could be I offer the following as a wild & crazy testament. Astonishing, right? 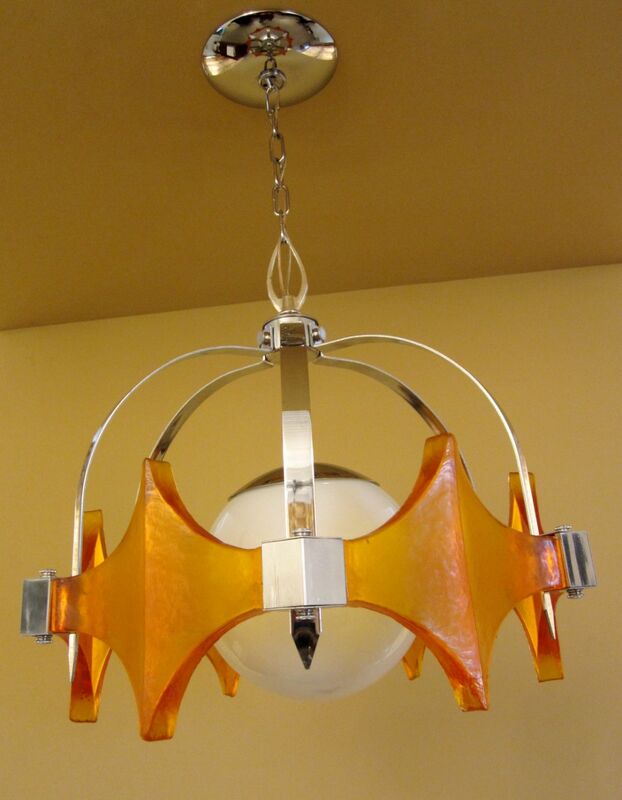 This chandelier is chrome, and features six orange plastic panels. Plastic. Orange. Chrome. Yep, 70s retro heaven. Amazingly, I have another version listed. I would love to travel back in time, meet the designer, and ask: WHAT were you smokin’, man? 4 Responses to Oh baby, feeling MOD? Feeling GROOVY? Feeling COOL? I remember chrome and ferns in the 80’s. Weren’t there chrome floor lamps that were arched? Next to them you had to have chrome plated pots with ferns growing everywhere! Anyway, that’s what I recall from those halcyon days. That was from 1966 though, Simon and Garfunkel. Love that song!